Hello everyone. 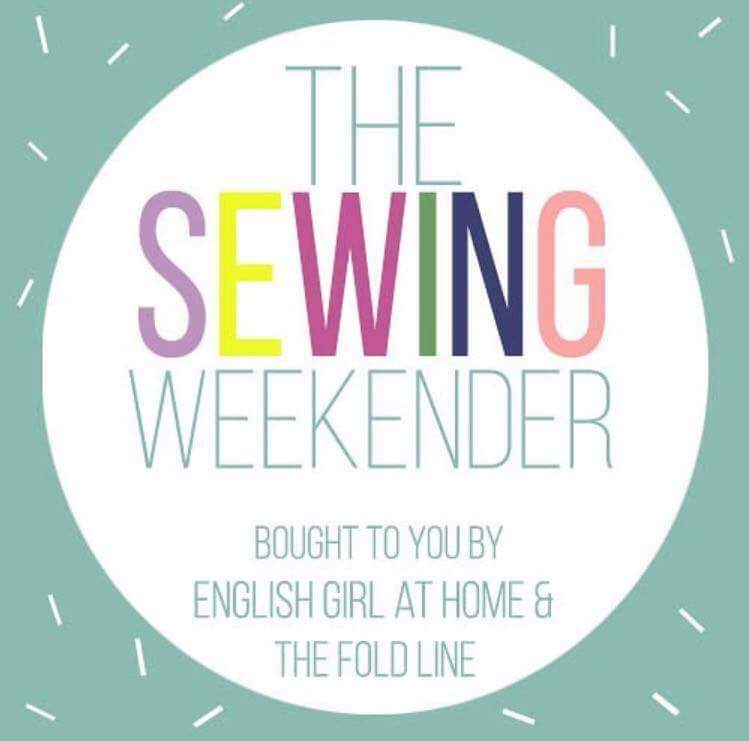 I’m writing this from a corner of my sewing room, slightly frazzled from car issues and too tired to sew. 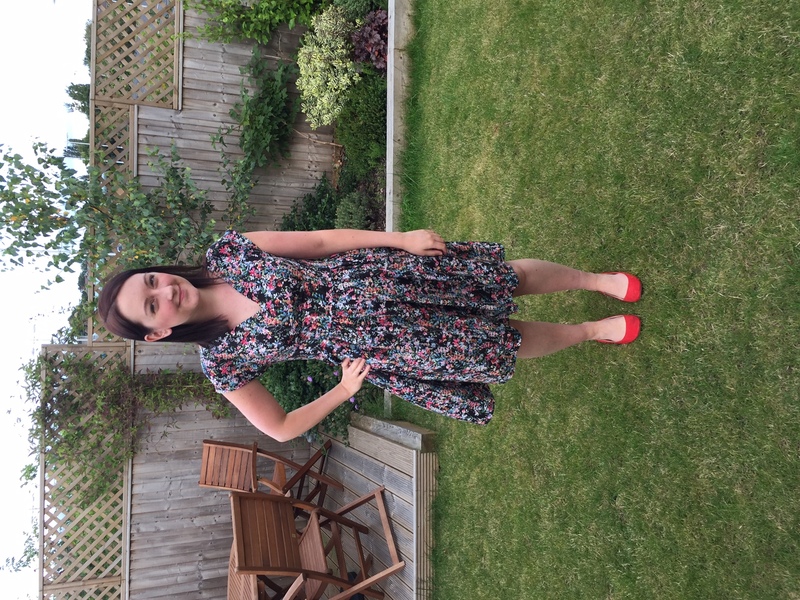 I’m really keen to start wedding related sewing but have had a few silly setbacks. One of my bridal fabrics has arrived cut into two lengths instead of being kept whole and I’ve lost the pattern number I noted down for my bridesmaids’ dresses. All fixable of course but frustratingly will slow me down. Chewie isn’t impressed. So to perk myself up I’m sharing a recently finished make. It’s not my first and not my last Anna dress but possibly my most noticeable. When I wear this dress people love to find out if it’s really Rifle Paper Co, ask to stroke the rayon to feel the quality and tell me the colours are wonderful. I happily answer all the comments because I think the quality is fantastic; the shades of blue and coral, the weight and sheen of the weave, and the scale of the design make this a perfect fabric. Go buy some while you can. If you’ve made something from Rifle Paper Co fabric please link me in the comments!! In case you’ve been off the grid, the last couple of years have yielded some fabulous fabrics from the collaboration of Rifle Paper Co and Cotton + Steel. Anna Bond is the creative force behind Rifle Paper Co, a stationery business famed (primarily) for its painterly florals designed by Anna herself. Cotton + Steel is comprised of the design power houses Melody Miller, Rashida Coleman-Hale, Alexia Abegg, Kim Kight and Sarah Watts who collaborate on fun and unique prints that still coordinate across each range. The bulk of the offering is quilting cotton but lawn, rayon and canvas substrates are also available for certain designs. The Birch Floral I used is from the Les Fleurs collection which I picked up from Miss Matatabi. Also in my stash is the Painterly Roses rayon from the Wonderland collection. I have 1m to play with which I picked up from Village Haberdashery using my birthday stash points! Ok so dress nitty gritty time. This is the Anna v-neck bodice and the Emery gathered skirt with 3cm added to the length. I used a 70 needle to avoid snags and the fabric was robust enough not to shift as I worked or get sucked into the feed dogs. My armholes are finished with blue bias and I used the facings provided. My invisible zip is pretty invisible considering its navy and I took the dress in a little from previous versions as I’ve lost some weight. I try and save this dress for nice occasions as it does noticeably wrinkle after a few hours of wear.